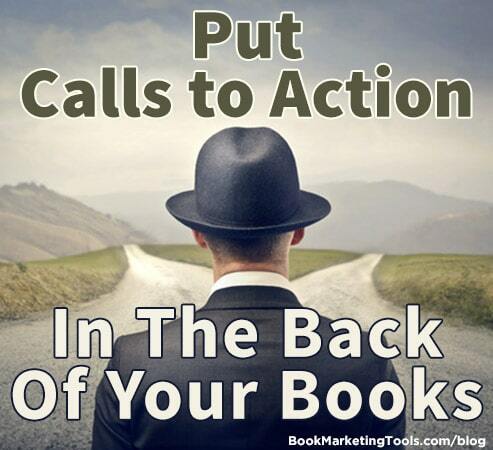 Putting calls to action in the back of your book is a form of passive marketing that will help you to sell more books. Once you set up these calls to action and you publish the update to your books, you’re done, but they will continue to help you to sell books. If a reader makes it to the end of your book, they are going to go somewhere. Direct them where you need them to go. If you can direct them in a specific direction, then you are likely to keep them as a reader. If you don’t, they may move onto the next book in their reading list, then you will have lost the opportunity to continue to sell to them. Here are a few call to action ideas that you should put in the back of your book to get your readers to buy more books from you, or at the very least, get connected to you so they are more likely to buy from you in the future! The link to your homepage. This is a simple one, but putting the link to your website at the end of your book will help to guide the readers to your website, where you will hopefully have appealing bonus content, as well as your other books listed for sale. If your website URL is only listed in the front of the book, your readers may never go back to the front of the book when they are finished reading. Put the link in the back of the book as well. A bonus offer if they sign up to your mailing list. Inform your readers that they can get a special bonus if they go to your website and sign up for your free mailing list. This can be additional worksheets for a nonfiction book, or it could be additional art, a novelette about your main character, or a sneak preview to your upcoming book. Once you have a mailing list setup, then you can notify each person on the mailing list every time you have a new book coming up. A chapter of another book of yours. This works great if you have a series of books. They will keep reading since they are already at the end of the book, and you can end the first chapter of the next book with a cliffhanger (and a call to action to buy the book). Be sure to promote the additional content such as a chapter from the next book, in your book description. A link to your social media accounts. Readers like to connect in different ways. Some like Facebook, others like Twitter, some like Google+ and others will simply just sign up for your mailing list. If they prefer social media, you should definitely make it easy for them to connect with you in whichever way they prefer by placing links to your social media profiles at the end of your book. A letter asking for a review. Many readers do not know that reviews are hard to come by, and that reviews can help an author. All you need to do is tell them and many will gladly give you a review. They may not all be perfect 5-star reviews and that is fine. Those reviews give more credibility to your book. Explain to the reader who reaches the end of your book that a review will be greatly appreciated and kindly ask them to leave you one. A list of your other similar books. If you have books that are similar to the current book they are reading, tell your reader about them, with clickable links. This makes it easy for them to find more books to read and it helps you to get more sales. You can list other books that aren’t similar, but they may not be as attractive to your reader. You don’t always have to be actively promoting your book (though it never hurts). Spending some time to set up calls to action in the back of your books and other passive book-selling mechanisms will help you to hold onto the readers that you do work hard to get. This will pay dividends with each future sale of your book! Did you love this tip? If so, tweet it!